Wouldn't it be super handy to send a thank you to your donors or notify people when yearbooks are being distributed to those that purchased? Well now you can! 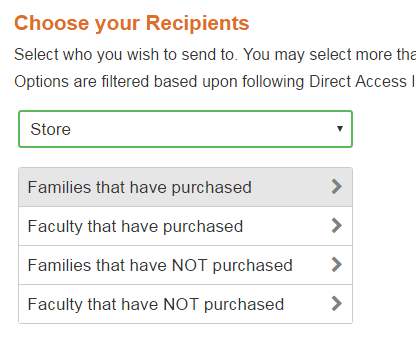 Not only can you send to those that purchased but you can also send to those that haven't which is a nice feature when you want to give folks a nudge. Just create your email and go to Edit and Send.